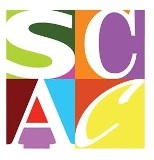 The Alabama State Council on the Arts (ASCA) awards Artists Fellowships of $5,000 to individual artists working in literature, crafts, dance, design, media/photography, music, theatre, and visual arts. An applicant applying for an Artist Fellowship must provide work samples of the highest quality that have been completed within the last five years. Arts Administration Fellowships of $5,000 are awarded to administrators to improve their skills and ability to serve their organization and community. 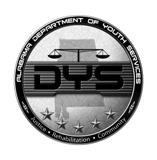 The application deadline is March 1, 2013. Recipients may use funds to set aside time to create art, improve their skills, or to do what is most advantageous to enhance their artistic careers. Visit the eGrants section of the Council’s website to apply. For more information, contact the Alabama State Council on the Arts, 201 Monroe Street, Suite 110, Montgomery, AL 36130-1800, or phone 334-242-4076.